CLARK COUNTY — You can blame China. You can blame your neighbor. Or, if you’re really honest, you can maybe point the finger at yourself. Whomever you decide to blame, it looks like most of us will be paying quite a bit more to recycle soon. Starting in 2013 China, the world’s largest buyer of recyclable material, began implementing stricter standards on what level of contamination they would accept. In 2017, China stopped importing recyclables from many U.S. companies, leaving them scrambling to find new markets for the materials, and plastics piling up in many processors. Dutton, along with a number of officials from Waste Connections and its affiliate Columbia Resource Company, were at a council work session this week. They are preparing to ask for a rate increase of up to $2.44 per household, per month, in order to help offset the rising costs of dealing with recyclables. “We’ve lost a little over four million dollars since last October because of this impact,” Jason Hudson, a division vice president with Waste Connections told the council. In its early years, curbside recycling was generally seen as a way to not only help the environment, but cut down on the amount of waste going into garbage bins. For many people, that actually meant reducing costs. Dutton says they’ve had to slow down their automated sorting machinery, and hire more humans to help pick through recyclables. Dutton adds that the requested rate increase would only offset recent losses, but not help them recover the millions that have been lost since the market changed. 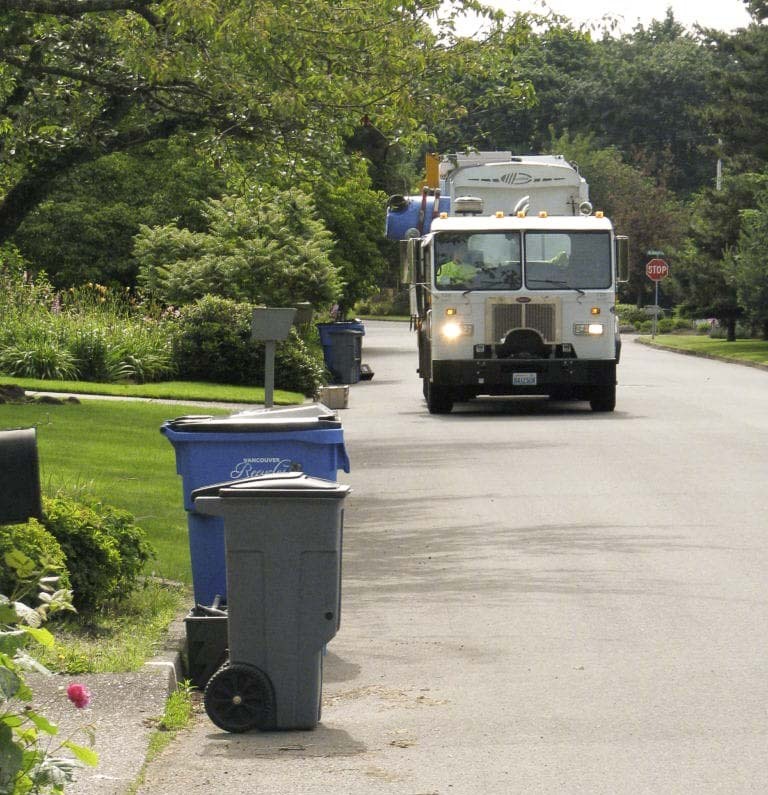 The council has the power to approve increases to recycling rates, but if they recommended passing the increased costs to garbage customers, statewide approval would be needed. “I think we’re buying a lot of bad will with that big of a rate increase,” said Councilor Jeanne Stewart. Councilor Julie Olson said she understands the need for Waste Connections to recoup some of its losses, but wants to make sure that ratepayers fully understand why their bill is going up. The proposed rate increase would be in addition to annual increases linked to the Consumer Price Index. Hudson said those have averaged one to three percent annually. It also wouldn’t address the rising cost of business elsewhere for Waste Connections. Hudson says drivers recently received a raise of $2.50 an hour, part of it as a negotiated increase, and part just to stem the loss of drivers to other companies. “We lost, I think, 14 drivers in the month of August just because of the opportunities that are out there with a CDL right now,” he said. The council set Dec. 18 as a date to hold a public hearing on the proposed increases, and asked for better numbers on what ratepayers could expect to see as an overall increase next year.